2012 didn't end well for me and 2013 didn't start off so swell, either. This was the most fitting word I could come up with at the time, and it served me well. Not a single day went by when there wasn't an appropriate opportunity to use this word, but I refuse to divulge whether or not I actually said this out loud. After last year's successful word, I have been trying to come up with a word for 2014. I have auditioned several and this one stuck. It is not an exciting or glamorous word; it is a day-to-day word that gets the job done. We are expecting a major snowstorm later this week. I am ready. I am the queen of the last minute. If someone around me has a need, I am not always able to drop what I am doing to assist. I want to be better at being ready for my life to leave room for the needs of others. 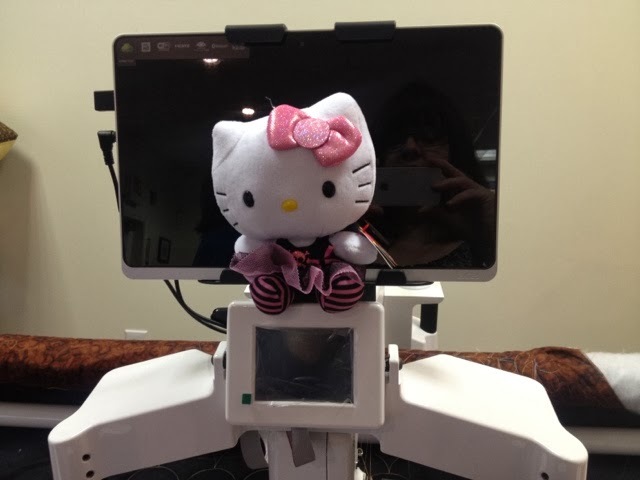 Last year, I was asked to film a series of DVDs for Handi Quilter on their Sweet Sixteen. I was ready. I want to be ready for any new opportunities that come my way. 2014 starts tomorrow. I am READY. I can't show many of the quilts that I am working on. 'Tis the season and all of that. Untl the new year, I hope to entertain you with quilts that have been retired from my teaching suitcase. It was made with scraps from her college quilt. I made a quick little baby quilt and she claimed it as hers. She is NOT expecting a baby, but I guess it pays to be prepared? 2013 has been a long year. As a quilting teacher, I traveled to many amazing places this year and met many new people. I spent more time in hotel rooms than I did at home and I missed my husband. This is all expected and part of the job. My husband and I plan a trip together every December to celebrate the passing of another wonderful year. This year, we scored a great travel deal and went to Cancun, Quintana Roo, Mexico. Non-alcoholic pina colada. No, really, I don't drink. Non-alcoholic mango margarita. Seriously, I really don't drink. After six wonderfully relaxing days at the beach, I and my sunburn left the white sand and flew home to the white snow. Yesterday I was in 85*F and today I am in 25*F. I am not pleased. I am catching up on things at home and thought my husband might be a little depressed, post-vacation, like I am. I decided to bring a little bit of the resort home for him. Bonus points if you can name the fabric line. Yes, that ribbon was recycled from a jelly roll. And don't laugh at the TP holder -- it came with the house and we haven't renovated that bathroom yet. How else can I turn this house in upstate New York into a Mexican resort? I'm open to any ideas. By the end of 2012, I was seriously behind in gift quilts: weddings, graduations, babies, etc. It will take a while for me to get caught up, but I am working on it. My RockStar hubby is a drummer and his guitar player recently (a year or so ago?) had a second son. Last week I packed up the quilt for hubby to take to band practice, but once I realized that I had no photos of this quilt, I frantically texted him during his drive SCREAMING at him to not give the quilt away. Fortunately, he read the text and returned the quilt. Phew! A week later, the quilt has been photographed and delivered. My friend Harriet and I started this quilt as a mystery class a long, long time ago. I wonder if she ever finished hers? The bonnet is on my daughter-in-law's belly. I found the free pattern online here. I used flannel from a shirt for the outside of the bonnet and some jersey from a T-shirt for the inside of the bonnet. 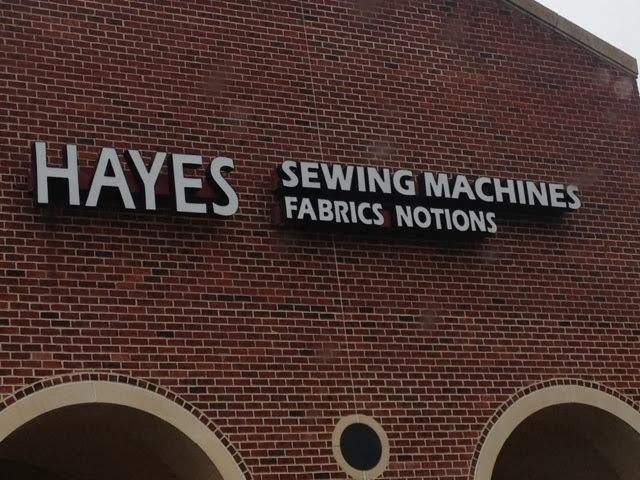 The fabric is already super-soft! I want to make so many other things for this baby! If you have a favorite baby pattern, please leave a link in the comments. This Grandma needs to sew! My son is married to his middle-school sweetheart and our families go to church together. We are closer than most in-laws. Soon, we will share a grandson! We have only met two or three times and I don't know her well enough to guess at her taste in quilts. I checked out her bridal registry and noticed that everything was black and white. I remembered a black and white UFO that I started back in 2006 or so. I pulled it out a few weeks ago and finished it. I could have quilted this to be worthy of a quilt show. Instead, I quilted it to be used and loved by the happy couple. I wish them many years of happiness! I leave for my next work trip in forty more days. I have many quilty plans for these days at home. While I was making it (years ago! ), my daughter asked for it. It has traveled with me for several years and during that time she frequently asked how "her" quilt was. She was very patient. I frequently teach at Bits N Pieces in Pelham, NH. Liz had her students each make this and quilt it differently. They surprised me in September and showed them all at once. I was overwhelmed! I hope my daughter enjoys her bright (!) green quilt. And I hope I have time during the next forty days to make a replacement sample. On my first day at home, I did a lot of necessary work. I had to shop for Thanksgiving and take care of things that I couldn't do while I was traveling. I made time for me today, though, and I played! It was a good first day at home! When I quilt on Hazel, my sweet Sweet Sixteen, I try to eliminate all drag on the quilt. I roll, fold, or bunch the quilt to make sure it does not hang down over the sides of the table. The one place I still find drag, though, is between the table and my lap. Cut the quilting cotton into two pieces measuring 24 x 20 1/2 inches. Cut the laminate into a 20 1/2-inch square. Fold each of the two pieces of quilting cotton in half, right sides out, to measure 12 x 20 1/2 inches. Press well. Stitch 1/8-inch away from the cut edges of the fabric. This will keep the layers together when you stitch the pillow back to the pillow front. Lay the laminate on your table, shiny side up. Place one of the quilting cotton sections on top, aligning the cut edge to the edge of the laminate. Make sure the folded edge of the fabric is in the middle of the laminate. Repeat with other piece of quilting cotton, aligning it to the other edge of the laminate. Both folded edges will be in the middle making an opening to insert your pillow. Pin within a quarter-inch of the edges, so that the pins won't make holes in the laminate pillow front. 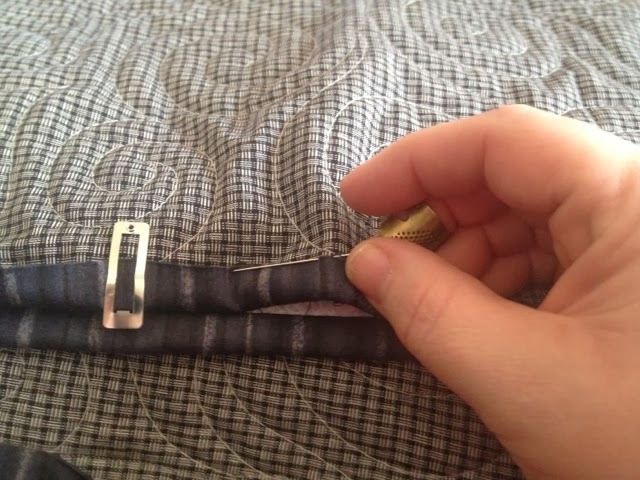 Using a quarter-inch seam, stitch along all four eges of the pillow, being sure to remove the pins before you sew over them. After the layers are secure, zig-zag stitch within the quarter-inch seam allowance to keep the cotton fabric from fraying. Turn the quilting pillow cover right-side out and fill with the 20-inch pillow. Place on your lap between you and the ege of your Sweet Sixteen table when quilting. This will eliminate any drag caused by the front edge of the table. My daughter-in-law and her sister have been close friends since childhood with another pair of sisters. They have all recently been pregnant and three have already given birth. I blogged about this quilt way back in 2006, probably before Maddie's parents even met. I was that prepared! 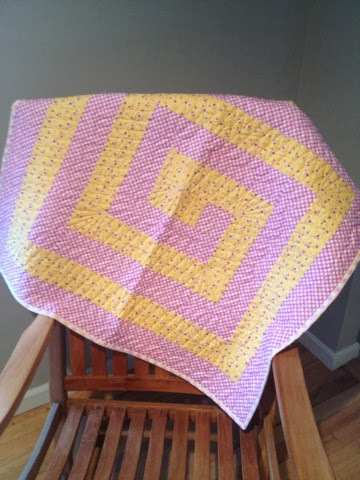 I cannot post a quilt for my daughter-in-law's baby. There will be so many quilts it will take a month of posts to contain them all! Liz from Bits N Pieces welcomed me to the store this morning. Punk Rock Hello Kitty is coming home with me. When I travel by car i bring my favorite quilt from home. I'm ready for another great day with my students at Bits & Pieces tomorrow! Don't forget to go to ebay and bid on the Quilt Alliance TWENTY quilts! Yesterday's resurrected quilt is nearly finished. Sadly I cannot show photos of the front of the quilt until after the wedding in January. What UFO should I tackle next? A few weeks ago, I received a wedding invitation in the mail. The groom and his bride-to-be are people that should definitely receive a quilt as a wedding present, but what quilt will do? I spent a few minutes on Sunday looking through their bridal registry to get a feel for their tastes. Then I thought about what quilts I had stashed in UFO form in my studio. I remembered a quilt-in-progress that would be perfect for them, but couldn't remember exactly where it was. Fortunately, the last time I tried to tame my UFOs, I made a list of them and noted where they were stored. Yes, I'm a bit of an organizational geek. I looked on my spreadsheet and had the quilt in my hands a few minutes later. Don't Handi Quilter totes make great project bags? I noticed that the pattern was in a magazine dated 2004. I don't think that the project is that old, but maybe it dates back to 2006 or 2007? It has ripened enough and is now the perfect time to finish this quilt! I pulled out the pattern and all of the pieces, took inventory of the finished bits, the cut bits, and the yardage. Everything was there, so it was time to dig in. This quilt is underway and is to be finished well before their January wedding date. I wish I could find the perfet bridal shower present in my UFO stash, too. I was so excited to be a part of the Quilt Alliance 2013 Quilt Contest Exhibit and Auction. The theme this year was TWENTY. I made this quilt on Hazel, my sweet Sweet Sixteen and blogged about this project when I made it. Months later, I'm still humming the element song! The Quilt Alliance quilts will be auctioned off over several weeks. My quilt is not available this week, but many other are. 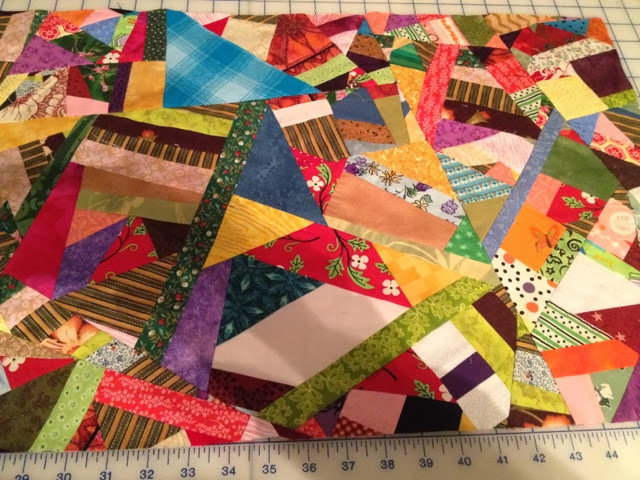 Go to ebay and bid to support the Quilt Alliance! 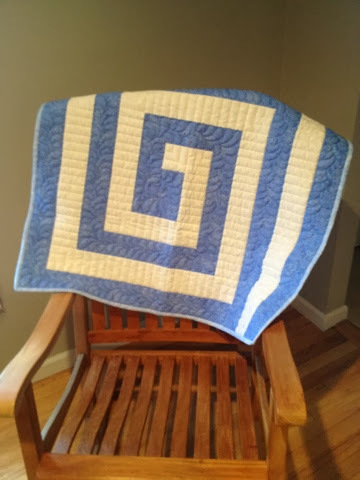 I recently finished another quilt and gave it to a young momma at my church. She has been enduring a quite unpleasant medical situation for a few months and I hope this can cheer her up. 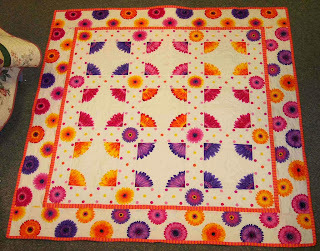 The pattern was a Moda Bake Shop pattern called Boho Patchwork Vintage Star Quilt. The pattern wasn't as awesome as I hoped it would be, but the quilt turned out pretty cute anyway. I hope this momma recovers soon and feels my hugs every time she uses her quilt. Geico should rewrite their commercial to "Happier than a grandma with her grandbabybump!" 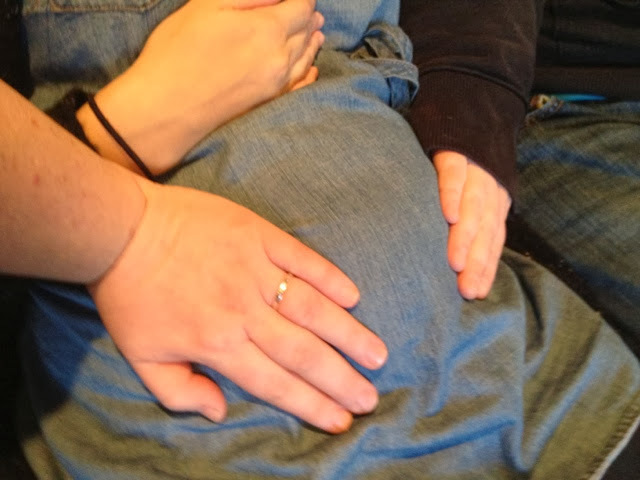 My son and his pregnant wife are spending the day with me and I get to pat the grand-baby-bump. I felt a kick today! The question now is.... Is it a boy baby? Or a girl baby? a Charlie? Or a Molly? You can see that I am prepared for both.